2019 is well under way as we enter into February, so make sure you check out the latest products, collections or innovations on the market from the past month. From new textured wall coverings and distinctive ombre painted radiators, to bespoke boiling water taps and contemporary but functional furniture designs. portfolio. The new ombre finish invites Bisque customers to choose between 4-6 shades. These are carefully applied from light to dark to each Classic during a special application process. This new finish also takes advantage of Bisque’s colour-matching service, where it can cater to popular paint brands such as Farrow & Ball and Little Greene. Available in both horizontal and vertical models, the Classic is by far Bisque’s most versatile design. 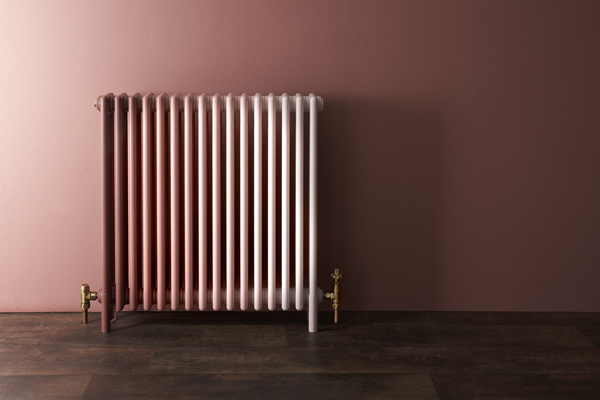 Fondly referred to as the old school-style radiator, the Classic has an enduring appeal and a fantastic heat output, and suits a wide range of interiors, from cosy cottage to contemporary townhouse. In addition to thirty-eight stock sizes, it can even be made-to-order when only a particular size will do. 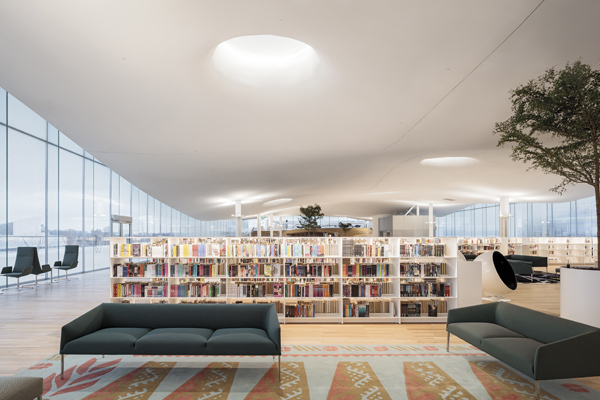 Arper Collections furnish the new library, Oodi, recently inaugurated in the heart of Helsinki and designed by the Finnish firm ALA Architects. Among the bookshelves, the trees and the break rooms, Arper collections interact with the surrounding architecture and blend in seamlessly with the different areas. This ever-changing space develops underneath the undulated ceiling on an equally irregular wooden surface, lit by skylights and the surrounding glass walls. Positioned along the whole library area, the Saari and Catifa 80 sofa and armchair collections create cosy urban living rooms where people can sit down and read. 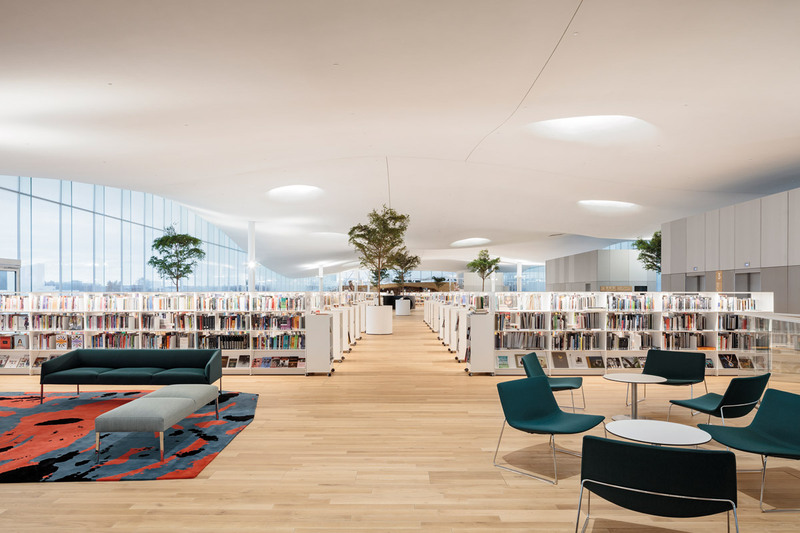 The Catifa Sensit seats, arranged alongside the glass walls, invite people to unwind and enjoy the views, while young readers can take a seat on the colourful Pix ottomans in the children’s area. Heikki Ruoho, Designer at ALA Architects describes their choice of Arper collections as follows: “These functional products can bear the intense use they are meant for; they are extremely versatile for the comfort of guests of all ages with varied needs. Flexible products that cater to the wishes that rapidly change over the day and depending on the areas; they are light and jolly to express the playful side of this project”. Newmor introduced three new designs to their collection. 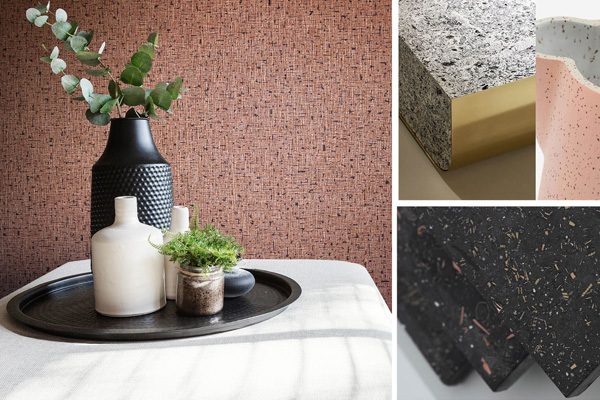 Woven, terrazzo and textured backgrounds with on-trend prints and smart tailored embosses in contemporary colourways. All are available in commercial quality wide-width fabric backed vinyl, suitable for high traffic areas. Seminato is Newmor’s take on the terrazzo look. Twelve matt backgrounds and one shimmering copper are embellished with a pared-back flecked metallic print, enhancing the quartz effect. A soft-hued mineral palette is both on-trend and classic. The result is a clean, elegant surface with enduring appeal. In the shade of the familiar foliage in lush exotic gardens that filter the sun, the Yves Delorme 2019 Summer Collection offers a rich palette of organic colours, evoking the summer’s atmospheres. From seasonal heat to cooler temperatures, the designs transport us from familiar places to faraway lands, from leaves to flowers, between dreams and reality. The designs highlight the colour green in all its variants… mint, lime, sage, emerald. Associated with white, these designs enhance the coolness of long summer nights, and married with a fruity peach colour, they integrate the most fashion-forward interiors of the season. 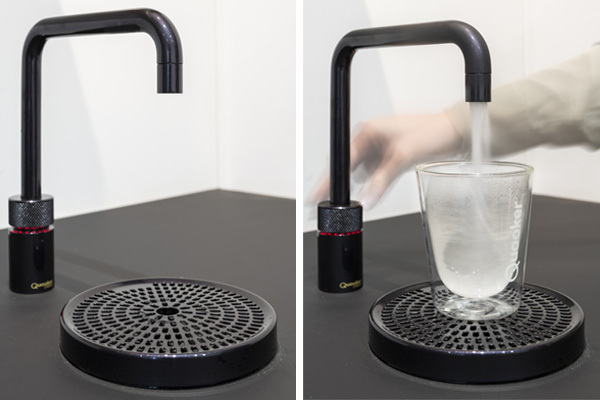 Featuring Quooker’s Nordic square boiling water tap finished in Jaguar Blackberry; design inspiration taken from the Clients car! You can bring a unique experience to your projects with the beautifully-crafted bespoke Quooker Hot Tap with Kuche and Bagno. They can tailor any Quooker tap model including the new Flex model and offer an array of finishes to create a unique focal point within your designs.